As we steamroll our way through 2019, we take a quick look at the key dates to squeeze into your marketing calendar with consumer spending stats and example campaigns. Despite 81% of the British public believing that Valentine’s Day is too commercial, Statista found that UK consumers spent £620m on gifts for Valentine’s Day in 2018, up from £470m in 2016! Whoa! 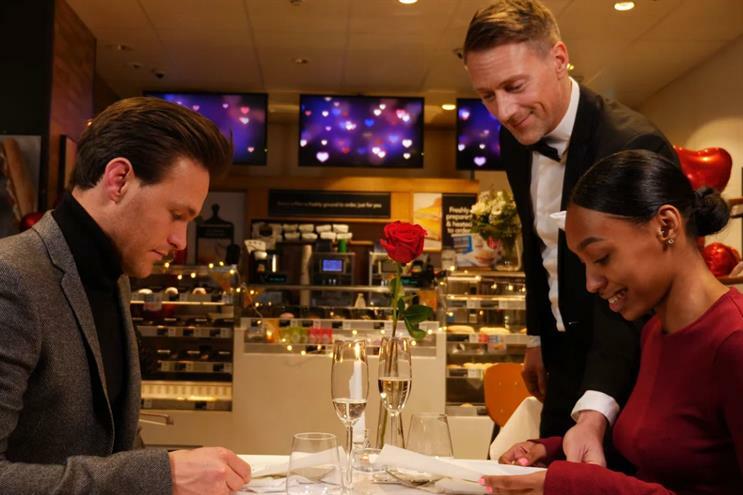 Traditional retailers that focus on valentines such as chocolatiers, jewellers and florists obviously have a lot to gain on Valentine’s Day, but other industries have successfully got in on the celebrations too. With a little creativity you can engage audiences at this romantic time of year and take advantage of the first post-Christmas present giving opportunity of the New Year. Mother’s Day isn’t just cups of tea and breakfast in bed. It’s cards, beauty, chocolates, jewellery, trips away and so much more as companies from a broad spectrum of industries look to get in on the occasion and consumers look for ways to treat their mother-figures on this special day. However, just because your offer isn’t the traditional flowers and bubble baths doesn’t mean you won’t be able to engage. Take this classic award-winning campaign by Old Spice. MomSong, payed homage to all those mums that aren’t quite ready for their precious little boys to become lady-kissing men, wonderfully weird but hilarious too! Don’t worry though Mums, Mintel found that sons typically spend £12 more than daughters on Mother’s Day! Result. With the long weekend, Easter is a time for spending and a real opportunity for businesses. So much so, that Easter 2017 saw British consumers spend 4% more than the previous year with The Telegraph heralding the Easter period a much needed boost to the economy. 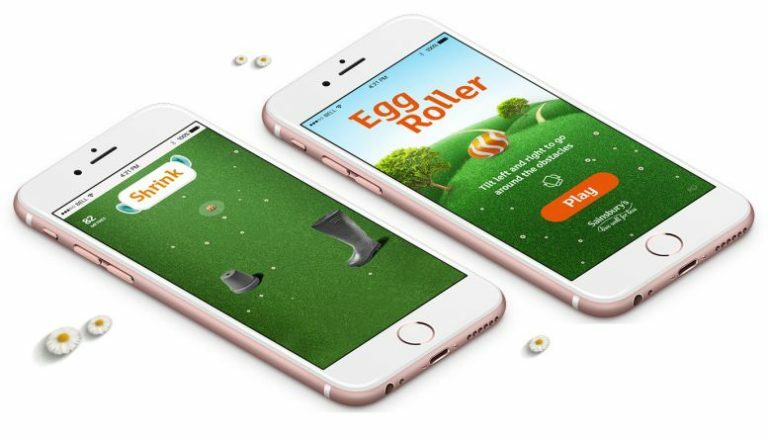 In 2017 Sainsbury’s employed a branded game as part of their Easter Snapchat campaign. Where players had to roll an Easter egg down a hill, avoiding obstacles in its way, by using their phone to guide it. 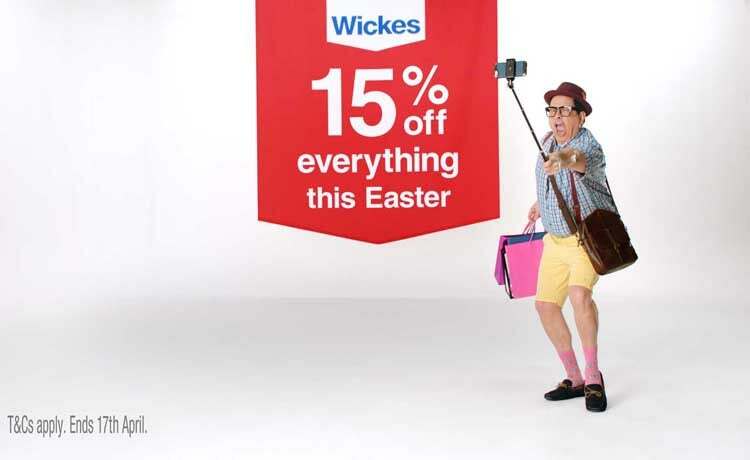 It doesn’t have to be all chocolate eggs and Easter bunnies though; there’s space for companies that aren’t traditionally Easter focused to use the holiday as a platform for their marketing campaigns – just check out Wickes ‘Do it Later’ Easter promotion. A long weekend break often provides a perfect opportunity to get some home improvement projects off the ground, but UK consumer trends are showing more and more people are getting away over the Easter break. Demonstrating an understanding of customer trends, Wickes created a ‘buy now, do it later’ promotional campaign, encouraging their audience to just enjoy the holidays! According to FIFA, the 2015 Women’s World Cup (WWC) reached 336 million fans worldwide. As with the men’s equivalent, many of these fans took to social media to rave about the event. Facebook reported that in the 2015 finale nearly 9 million fans were posting on their site, with the British public taking third place in terms of Facebook engagement after Mexico and the US. FIFA aims to achieve 1 billion viewers for the 2019 WWC and you can bet from previous events a good portion of these viewers will be active online in the lead up to and during the big event. Make sure you don’t miss out on a golden opportunity by scoring big with a well planned campaign around the event. In 2017 it was found that, sadly, the UK spend on Father’s Day is only half that of Mother’s Day, with Global Data reporting £700m spend vs the £1.4bn spend on Mother’s Day. One of the exciting things in the lead-up to the British Grand Prix is seeing the sponsor installations and marketing campaigns. We love this Johnnie Walker #jointhepact campaign from 2017. A ground breaking anti-drink drive experiential campaign set on the streets of London, which aimed to collect 250,000 signatures from people, pledging to never drink and drive. The campaign ran alongside the Silverstone race weekend and really made an impact. Whilst traditionally our American friends have always been the big spenders when it comes to Halloween, recent stats show that the UK market is really sinking its teeth into the spooky holiday. Retail expenditure on Halloween products in the UK, has grown from £310m in 2016 to £419m in 2018 so it looks like Halloween is here to stay and set to get bigger than ever. 2018 saw Fanta claim Halloween as their priority season, as Marketing Manager Rosalind Brown stated, “Fanta is to Halloween what Coca-Cola is to Christmas”. With their £3m multi-channel campaign ranging across new product lines and Halloween inspired packaging, Snapchat filters, influencer campaigns and experiential Twisted Carnival festivals across 4 sites in the UK. 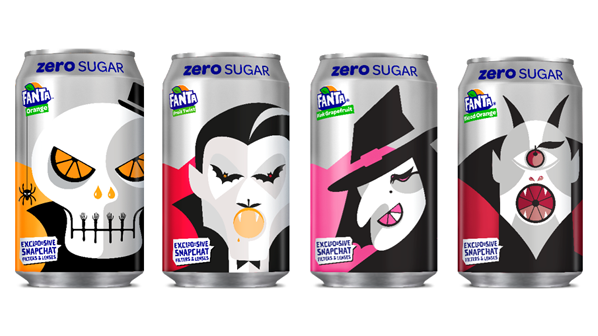 Fanta clearly see Halloween as a key calendar moment and promise an even bigger 2019 campaign. Jump on board this broomstick! 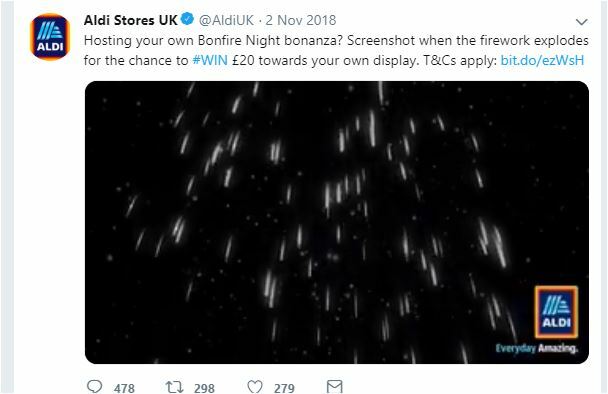 In 2017 UK consumers spent an estimated £497m on Bonfire night. The night itself isn’t just for heading out to community organised events, but also for home gatherings with 7 out of 10 adults planning to host home celebrations in 2017. So, if you think your brand could sit well at the centre of these gatherings, it’s definitely worth investing in a themed campaign. 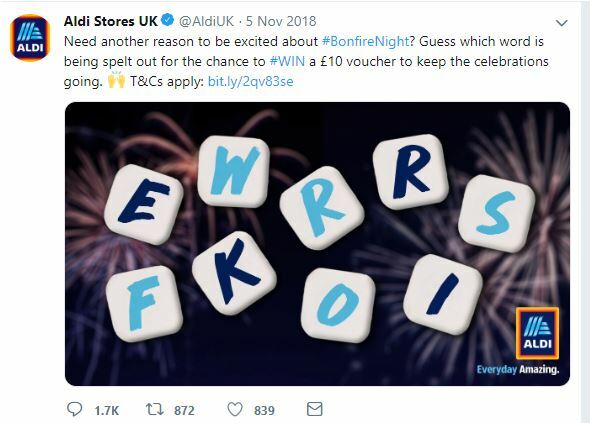 Aldi managed to engage customers last year by expertly blending offers held across the weekend, with fun interactive puzzles across their social channels, these included anagrams, riddles and a “find the emoji” puzzle which gave their social followers a chance to win shopping vouchers. A fun promotional campaign reinforcing the brand’s personality. Well this is a biggie. We all know how important this season is to brands, whether you’re B2C or B2B, it’s the marketing major leagues! There are blogs upon blogs that analyse, categorise and rate the big hitters and their festive campaigns every year, so we won’t attempt to here. What we will say though, you don’t have to have the big bucks and a multi-channel ATL campaign to spread the Christmas cheer. Opus Energy, a B2B energy supplier, delivered brand engagement levels of nearly one and a half hours per player with their Christmas advent calendar game campaign, which saw them give away a prize every day from the 1st to the 24th of December. We also found this Packhelp blog very useful with it’s handy guide on key dates including Cyber Monday, Black Friday, Small Business Saturday, and all the days in between, to keep in mind when preparing for Christmas Marketing campaigns! And that friends, is it. We know there are more and we’ll aim to update the stats and add new seasons to keep this post as relevant as possible. We had fun re-visiting our favourite campaigns and pulling this together, we hope you’ve enjoyed it too. If you have, please share and feel free to let us know your campaign favourites too! Don’t forget to sign up to our newsletter for more marketing, branded games and campaign related content. Get insights and tips for using games in your marketing straight to your inbox. 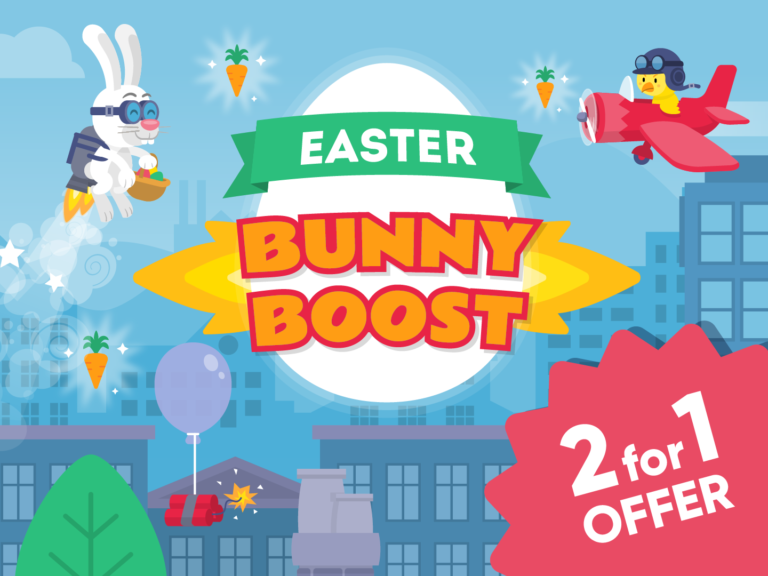 Plus, be the first to play our newest games and get seasonal special offers for our Piknik service.